Collects Ziggy Pig-Silly Seal Comics (2019) #1, Crypt Of Shadows (2019) #1, Love Romances (2019) #1, Journey Into Unknown Worlds (2019) #1, War Is Hell (2019) #1 And Gunhawks (2019) #1. 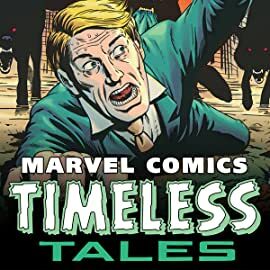 Classic titles from yesteryear return in a genre-spanning celebration of 80 years of Marvel Comics! Ziggy Pig and Silly Seal were superstars of the funny animal comedy circuit — until fame and money ruined everything! Then, what dread terror has crawled out of the Crypt of Shadows? Some Love Romances can only be told in a comic book — like romances with robots! But can true love breach the corridor of death itself? 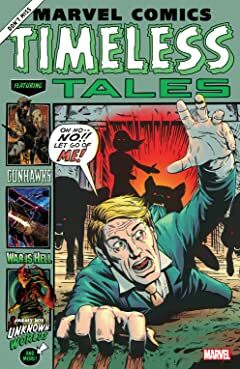 Journey into Unknown Worlds with extraterrestrial adventures — and enter the combat zone in torrid tales that illustrate why War Is Hell! And in the days of the Old West, few were as fearsome as the Gunhawks!